Here at Complete Automotive, we work hard to stay in front of industry trend’s and best practices. To achieve this, our employees go through constant, on-going training and certification classes. As a result, our shop has achieved the following certifications, and more! Get your vehicle repaired by trained experts and request your repair estimate today! 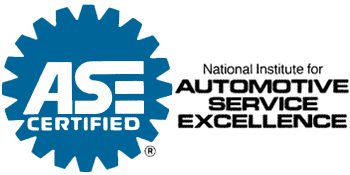 Short for the National Institute for Automotive Service Excellence, the ASE certifies individuals who pass their industry-leading test. Once certified, ASE technicians must continue to renew their certification to remain appraised of industry trends. Learn more about our ASE-Certification. A certification from Assured Performance equates to certification to work on the Nissan, Infiniti, and Ford makes of vehicles. Here at Complete Automotive, we are an Assured Performance certified shop with many years of experience. Learn more about our Assured Performance certification. The I-CAR Professional Development Program provides collision repair businesses a way to show they have the up-to-date knowledge and skills necessary to ensure proper repairs. As an I-CAR Gold shop, we are part of an estimated 20% of repair shops able to meet the rigorous Gold Class standard. Learn more about our I-CAR Gold Certification. America’s Honda certification program, called Pro-First, ensures those collision shops who obtain their certification have the skills and knowledge to complete the highest quality repairs. As a ProFirst certified shop in Zachary, LA, we can help you with all your Honda collision repair needs. Learn more about our ProFirst Certification.